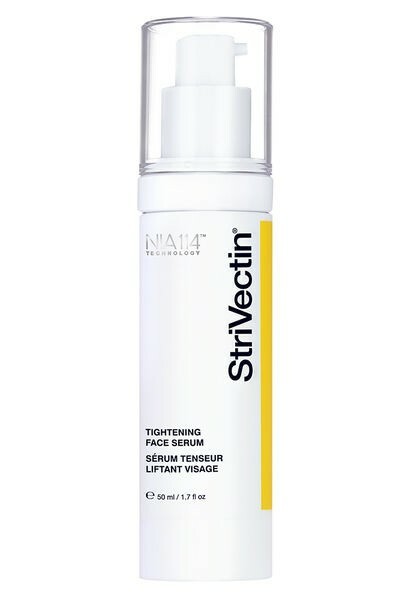 StriVectin Tightening Face Serum is a lightweight serum ideal for layering, immediately leaves skin feeling tighter, softer and more supple. An innovative tetrapeptide combines with patented NIA-114™ technology to visibly firm and nourish the skin barrier. Skin looks more defined and voluminous as skin elasticity is improved. Face appears lifted with a smoother, more sculpted silhouette. Fortifies skin and restores elasticity as it firms and sculpts facial contours and leaves skin smoother and more toned.